Every week the fine folks at Marvel send over a bunch of images of their hot upcoming books. Starting this week, I’m going to group all the images into this one handy feature called Marvel Weekly. In this first installment we have the cover of Spider-man’s Fear Itself Poster, the first five pages of Captain America 615.1 and a couple of Secret Avengers Covers. Enjoy! 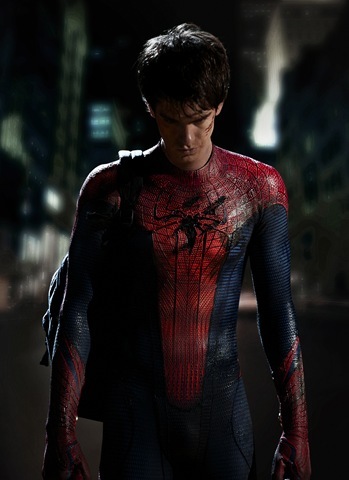 Columbia Pictures Presents: Andrew Garfield as Spider-Man! Spider-Man: Shattered Dimensions, Breaks Michelle’s Heart! Spider-Man Shattered Dimensions was on my must play list of games for the fall season. One of the producers of the game gave me an Eyes On Demo earlier this year and I’ve tracked the game’s progress since that time. I loved Web of Shadows from a few years back, but hated all the other Spider-Man games because I’m not a fan of Open World Sandbox games. Web of Shadows does a fantastic job of blending Open World mechanics with story driven narrative, I never felt lost or like everything was pointless and the web combat and web swinging was pretty tight. 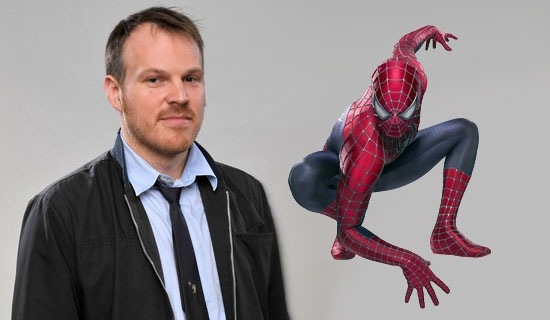 Shattered Dimensions was supposed to bring the best elements of Web of Shadows, while bringing something new, namely the idea of play four different versions of Spider-Man. Beenox – The developers, do a fantastic job of making the worlds – Noir, Ultimate, 2099 and Amazing feel really distinct from one another in terms of look but they dropped the ball on the most basic things and that’s Spider-Man’s powers. While I don’t like Sandbox games, I’m forced to admit Spider-Man is a character where it’s a necessity. Spider-man Shattered Dimensions is finally Out! Michelle Interviews One of the Producers! Spider-man Shattered Dimensions first hit my radar earlier this year when I got an advanced eyes on look at Wonder Con, in August (on my Birthday, ironically enough) I had the chance to attend Activision’s Gamer’s Day event in New York and get some hands on time with it. Activision, was annoying though because they wouldn’t let us take any video of the event and we had to adhere to so many different embargo dates that I threw my hands up and decided to wait until this week to start posting impressions. The game is available for all platforms today. Check out this Exclusive Interview with one of the Producers. You can see my quick impressions after the break. First Look at Spider-Man: Origin of the Species!! The Amazing Spiderman is going to go through some major changes in the fall and rumor has it Peter Parker may not be around by the end of the year. Here is your first look at Amazing Spider-Man #642, from superstar writer Mark Waid and fan-favorite artist Paul Azaceta! Origin Of The Species starts here! The birth of Norman Osborn’s son ignites a fire in the supervillain community and everyone is on the hunt for the new strain of Goblin blood. Spider-Man must keep the child out of the hands of the world’s most powerful villains, but at what cost? With Mary Jane back in Peter’s life and the most dangerous mission he has ever faced in front of him, Spidey stands to lose everything. Discover the Origin Of The Species in Amazing Spider-Man #642! I have to say, while I’m still excited for the story, the artwork in this preview looks horrible an enough with Peter whining about money. Feel like I’ve been reading about his money trouble for 20 years! Take a gander after the break. 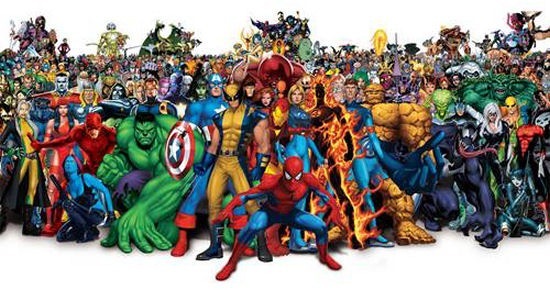 MOVIES, TELEVISION & COMIC BOOKS: Disney Buys Marvel! Walt Disney Co. is about to lay out $4 billion to add Marvel Comics to its family – uniting Spider-Man and Mickey Mouse under the same banner. The purpose of the acquisition is to enable Disney to reconnect with the young, male audience it has been losing over the last several years. While the timing of the deal may seem odd, taking place as it does in a time when the media business is coping with shrinking audiences and declining advertisers, Disney will be acquiring a stable of very popular characters to use in virtually arm of its business interests. Movies, television, comic books, theme parks; live action, animation – for Disney – and Marvel, too – this could be a match made in financial heaven. Marvel ComicsMickey MouseSpider-ManWalt Disney Co.